Passing the Maryland written exam has never been easier. It's like having the answers before you take the test. In Maryland, the Motor Vehicle Administration (MVA) requires you to complete their graduated licensing system (GLS) in order to obtain your new driver's license. This is a requirement for new drivers regardless of your age. Read below for more information about the GLS, how to transfer an out-of-state driver's license, and how to apply for your first driver's license. You have 60 days to transfer your out-of-state driver's license to a new Maryland driver's license when you move to the state. 18 months or longer: Regular driver's license. Less than 18 months: Provisional driver's license. Present your current driver's license OR a certified driving record from your previous state. Pay the fee of $9 per year (your driver's license will be valid from 5 to 8 years). Original or certified copy of your birth certificate. A W-2 or 1099 dated within the last 18 months. A paystub dated within the last 3 months. Mortgage agreement or rental contract. NOTE: These items must show your name and address, and each document must be from a different company. 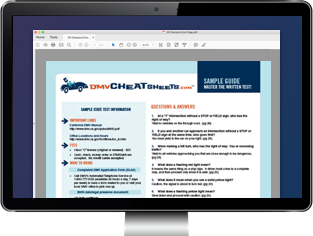 The MVA website has a complete list of acceptable documents as well as an interactive online document guide to help you apply for your new driver's license. If you've been licensed for fewer than 18 months, you must get a provisional driver's license. Present your current out-of-state driver's license OR certified driving record. You must schedule the driving skills test in advance using the MVA's central scheduling system. A W-2 (must be from within the last 18 months). Your rental contract or mortgage agreement. Each document needs to have been issued by a different company. See the Motor Vehicle Administration's website for a full list of acceptable documents. 18 months, if you've had a driver's license for less than 6 months. 12 months, if you've had a driver's license for at least 6 to 12 months. 6 months, if you've had a driver's license for at least 12 to 18 months. If you are convicted of a moving violation during this time, your provisional period starts over for 18 months. See “Apply for a MD Driver's License" below for information about how to transition to a full driver's license. Class A: Allows you to drive a non-commercial vehicle of any weight (except motorcycles). Class B: Allows you to drive any non-commercial vehicle or combination of vehicles (except motorcycles and tractor-trailer combinations). Class C: Commonly known as a regular driver's license.Allows you to drive a vehicle or combination of vehicles with a total weight of less than 26,001 lbs. Class M: Allows you to operate a motorcycle. See our page, Motorcycle License in Maryland for more information. Your driver's license will be valid for 5 to 8 years. For details about commercial driver's licenses, see our page on Applying for a New CDL in Maryland. Payment for the $50 fee (includes provisional and full driver's license conversion). To pass the vision screening. To pass the written permit test. A W-2 dated within the last 18 months. The Maryland MVA website has a complete list of acceptable documents for new driver's license applicants. To help you prepare for the written test the MVA offers an Online Driving Tutorial. If you want to ensure passing on your first try, we suggest using an online practice test from our certified partner. Has had their driver's license for at least 3 years. Is sitting next to you. Complete a Driver's Ed course. See our Driver's Ed in Maryland page for more information. Complete 14 hours of driving practice, including 3 hours at night. Must be logged using the Skills Log & Practice Guide. If you're under 25 years old, see our Applying for a New License (Teen Drivers) in Maryland page for learner's permit requirements. If you're under 25 years old, you will have different requirements to fulfill before moving on to your provisional driver's license. See our Applying for a New License (Teen Drivers) in Maryland page. Have held your learner's permit for 45 days. Have completed at least 14 hours of driving practice, including 3 hours at night. Mandatory completion of a driver improvement class: 1st conviction. Driver's license suspension for 30 days: 2nd conviction. Driver's license suspension for 180 days: 3rd conviction (and subsequent convictions). You must apply for a provisional license in person at an Maryland Motor Vehicle Administration branch office. First, you have to schedule your driving skills test in advance using the MVA's Central Scheduling System. To pass the driving test. To submit a completed Skills Log & Practice Guide. Once you've held your provisional driver's license for 18 months, it will be automatically converted to a full driver's license. During this time you must not receive any moving violation convictions. If you are under 18 years old your license will still have restrictions. Your provisional license will automatically become a full driver's license once you've held it for 18 months. NOTE: If you are under 21 years old, you must have no alcohol convictions to be eligible for a full driver's license. If you receive any moving violation convictions while you have your provisional driver's license, your waiting period of 18 months will be re-started. The Maryland MVA will mail you an update card that shows you are a fully licensed driver. Carry the card with your provisional driver's license. When your provisional driver's license expires, you will need to renew your driver's license and receive a regular Maryland driver's license.